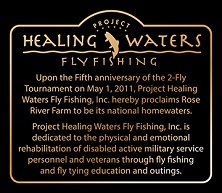 "Thanks so much for your generous "loan" of Rose River Farm to our TU Conservation and Fishing Camp! Many large, beautiful fish were caught (and gently released) by the campers, and it was an experience for them which we could not provide without your help. Your continued support of the camp and it's mission are greatly appreciated. 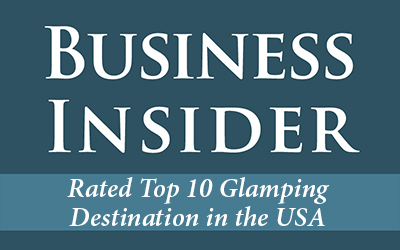 Kudos to Rose River Farm!" 17-inch Rose River Farm Virginia brookie of a lifetime! Dry fly and nymph fishing at its finest - our private water on the Rose River is cold, crystal clear, spring fed water that has a river rock base with very little sediment. 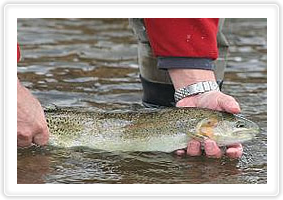 The water is rich in the kind of natural trout food that produces trophy conditions. 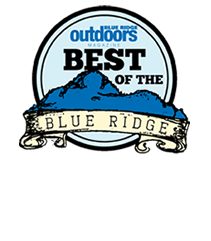 Come and spend a day on our private water - or add a night or two in our luxury cabins and make it a Virginia fly fishing vacation. 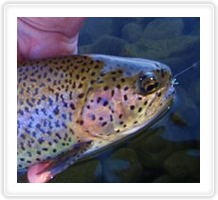 As a strictly on the fly, catch and release stream we create the ideal fishing conditions. We limit the number of rods per day to assure uncrowded water. 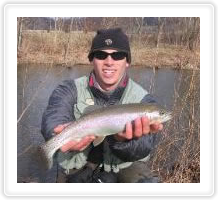 For 2015 there will be a number of Orvis endorsed fly fishing school classes taught at the Farm. We also have expert private and group lessons, as well as corporate events, available at the Farm. Please click on reservations to set up lessons or private guide services or contact us directly if you have any questions. 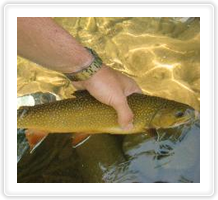 Fly fishing for trout is great anywhere but when you can do it in the majesty of the Rose River Valley you really have something special. Looking out at Old Rag Mountain, Double Top Mountain and the National Forest you will fish for trout as President Hoover did 75 years ago. Make sure you bring your watch - it's easy to lose track of time. Also do not forget about our other farm amenities such as our luxury rental cabins and our natural Angus beef. All of this only an hour and a half from Tyson's Corner? Location, location, location - that's a drive not a flight. 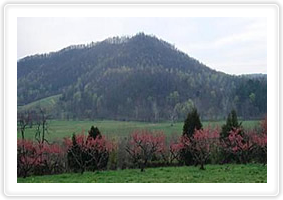 Located 7 miles from Route 29 and the Town of Madison. 17 miles from Culpeper and 25 miles from Charlottesville. Only 1:45 from Washington DC.